In 1945, the Canadian and American governments began a joint research study to examine the effects of water fluoridation on tooth decay. Brantford, Ontario, was one of the test cities chosen, and within five years results showed that children who drank fluoridated water had 60 per cent fewer cavities than those who had not. 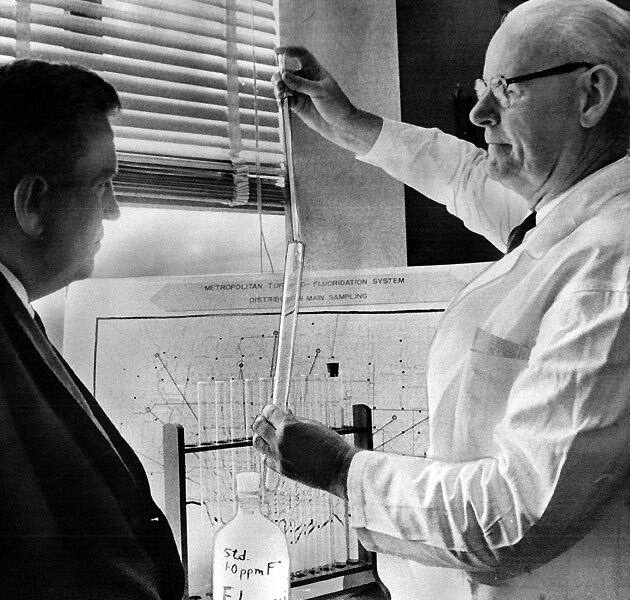 By 1952, Toronto’s Board of Health approved community water fluoridation as a safe and cost-effective tool for fighting tooth decay, however this landmark development in health care was not without its share of controversy, and it wasn't until 1963 that the City of Toronto began water fluoridation. On the CBC television show Front Page Challenge a notorious debate over fluoride pitted broadcaster Gordon Sinclair against Ontario Dental Association member Dr. Wesley Dunn. Sinclair argued fluoride was “rat poison,” while Dunn cited the science and facts that had already convinced the medical community that fluoride was safe and essential for helping prevent tooth decay. While science ultimately prevailed and many Ontario communities began water fluoridation, unfounded fears and conspiracy theories continued to make fluoride a controversial issue.